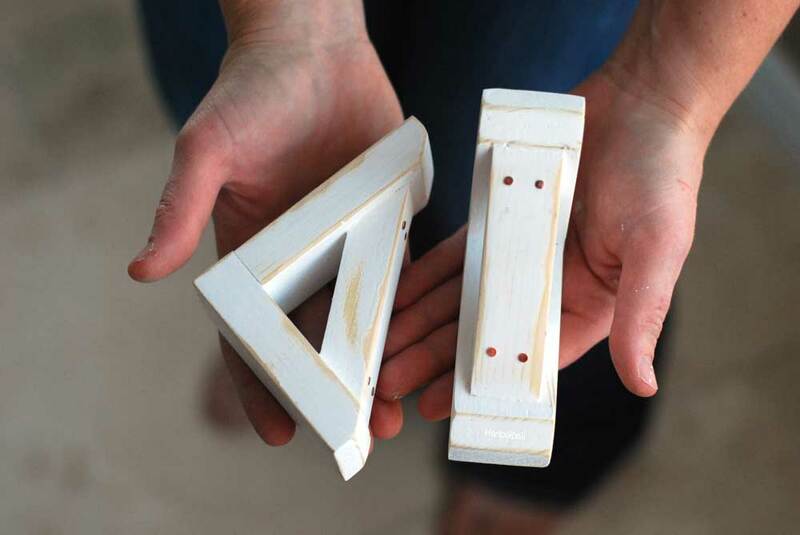 Everything is always cuter in mini size, including corbels. These cute little mini craftsman corbels are the anchor of my kitchen gadget organization project – a backsplash shelf. 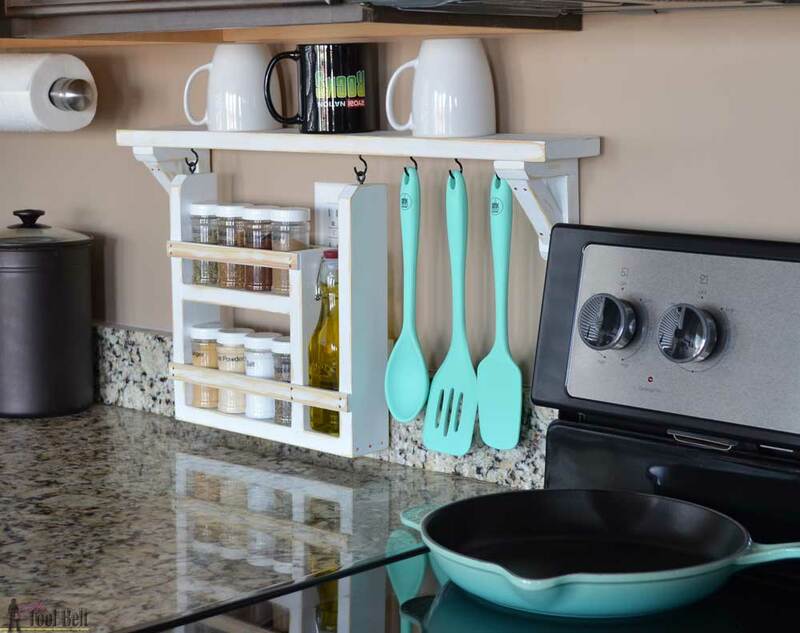 Hang the mini corbels on the wall under the kitchen cabinets to make a backsplash shelf. An under the cabinet backsplash shelf is a great way to organize your frequently used kitchen gadgets, while keeping your kitchen countertop clear from clutter. 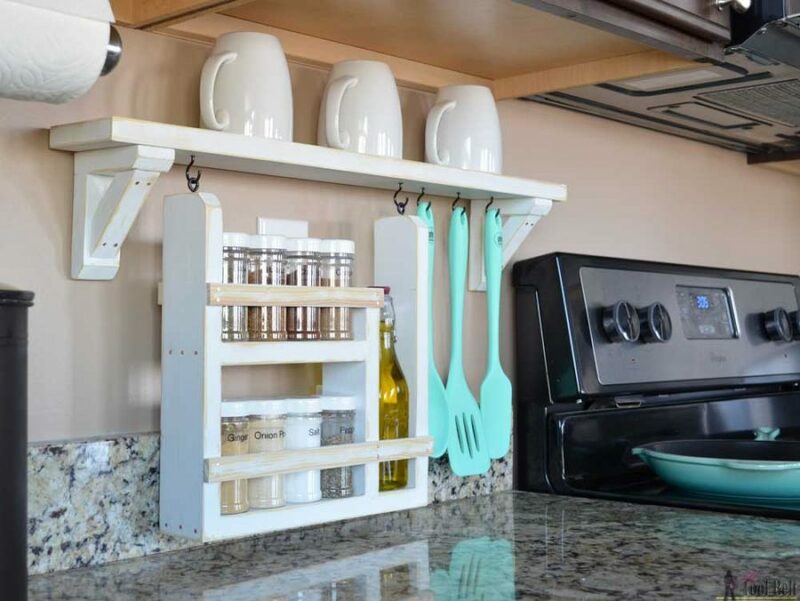 The shelf makes a handy place to store your favorite mugs or kitchen gadgets. 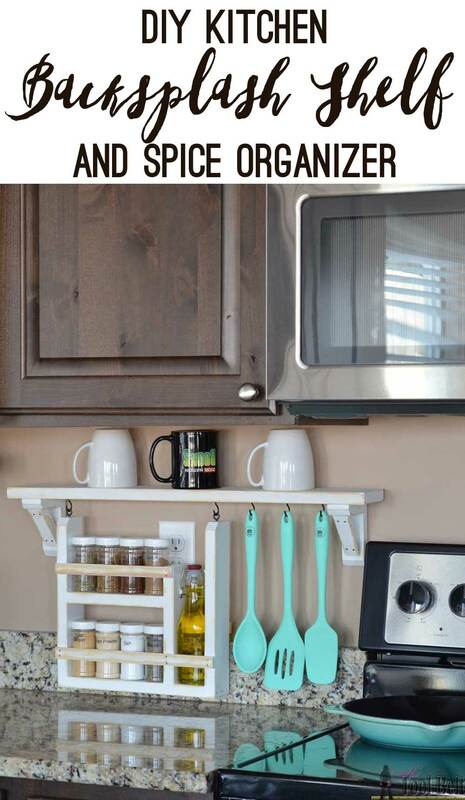 Easily customize the shelf length and hooks for your space. I’m excited to have a place to keep my EVOO for cooking, plus all of my frequently used cooking spices. The spice and oil bottle caddy can be customized for your bottles. 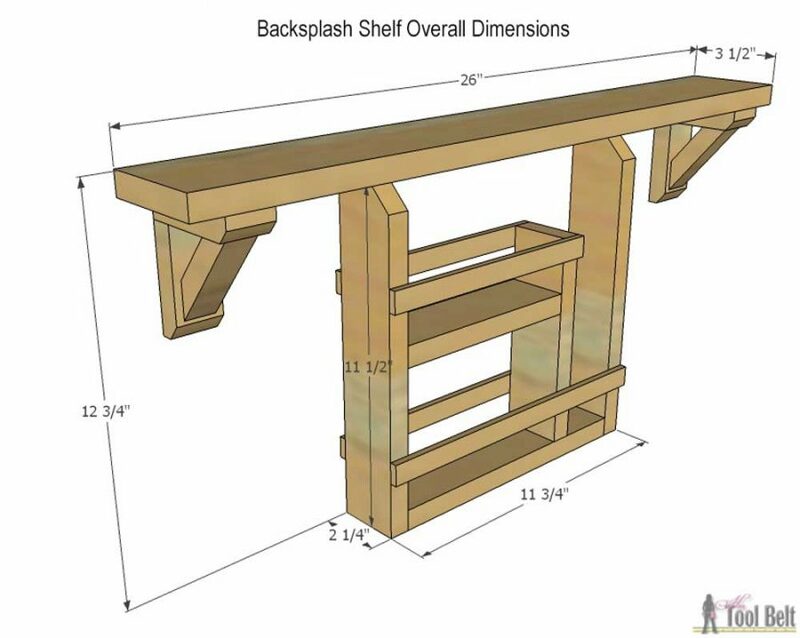 Head over to Ryobi Nation for the free plans and tutorial. Ryobi Power Tools is sponsoring a giveaway this month for $300 worth of power tools. Awesome right! Make sure you’re in the running, use the Rafflecopter widget below to enter. Contest runs February 8 through February 28, 2017. Open to residents of the continental United States. Prize for up to $300 in Ryobi Power Tools, does not include Outdoor Tools. *This post is brought to you by Ryobi, all opinions are my own. This is such a brilliant idea Amy, I love everything about it, and of course the mini corbels! This is super cute! Thank you for sharing. I´ll try to do it. It´s really beautiful and useful!! Thanks a lot. I would love to know where those real utensils came from! I got them at a store in Ogden, Ut called Smith & Edwards (it is an Ace Hardware affiliate store). The brand is Cook Works and they say A+R Cook on them. I love the color!